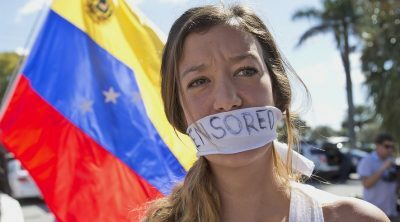 Selected Articles: Venezuela. Hands Off! The mainstream media and nearly the entirety of the U.S. government tell us Juan Guaido is the “interim president,” even though he was never elected to that position and the current president is still leading the Venezuelan government and military. An exclusive video quoted by The New York Times contradicts the US statement that the Venezuelan government set fire to an aid convoy last month on the border with Colombia. The Hybrid War on Venezuela just took a dark turn – literally – after the US used cyber weapons and insider sabotage to attack the country’s power grid last week, cutting off most of its electricity and creating a chain reaction of negative consequences all throughout the Bolivarian Republic. Lazy propaganda is largely to blame for the lapse in narrative superiority. The same tawdry psy-ops are recycled again and again, as we see now in Venezuela, where Iran-Contra felon and smirking genocide enthusiast Elliott Abrams has been wheeled out of cold storage to work his death-squad magic on a population we’ve already tried and failed to hypnotize with the promises of neoliberalism.